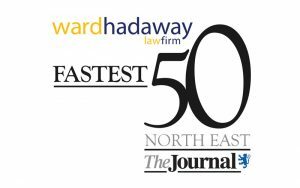 TODAY we reveal the definitive list of the fastest growing companies in the region with the Ward Hadaway North East Fastest 50 for 2016. Organised by leading law firm Ward Hadaway and backed by The Journal newspaper, the list highlights and celebrates the achievements of the profitable, privately-owned companies in the region who have grown their turnover by the largest amount in recent years. This year’s Ward Hadaway North East Fastest 50 spans a wide range of sectors from manufacturers and retailers to construction companies and IT businesses. Colin Hewitt, Partner and Head of Commercial at Ward Hadaway, said: “It is always a pleasure to announce the companies who have made it into the Fastest 50 and this year is no exception. “The businesses listed here have all performed superbly to consistently grow their businesses over a number of years whilst remaining profitable. “They are the real engines helping to fuel economic growth across the region, attracting investment and creating wealth and employment. As in previous years, the 2016 Ward Hadaway Fastest 50 has been compiled by independent researchers from St Chad’s College/Durham Business School using publicly available information from Companies House. Following today’s publication of the full A to Z list, the Fastest 50 Awards will take place at BALTIC, the Centre for Contemporary Art, in Gateshead on Friday October 14 when the winners of the Fastest 50 2016 will be revealed. Awards will be given to the fastest growing small, medium and large business with one of these three winners going on to be named the overall fastest growing North East business for 2016. This is the trading, management arm of the wider Adderstone Group of property investment, development, contracting and management businesses. Companies operating within the Adderstone Group of businesses employ in excess of 300 people and Adderstone Group currently has a £150m development pipeline. Alexanders Saab has represented car maker Saab for nearly 40 years, making it one of the UK’s longest standing Saab dealers. The company has won Saab’s National Dealer of the Year three times and Regional Dealer of the Year Award for Northern England and Scotland for 9 of the last 10 years. Based in Blaydon, this company specialises in powder coating aluminium and galvanised steel components used in the construction industry. It is an Approved Applicator for Dupont Performance Coatings, Tiger Coatings UK, Syntha Pulvin, Akzo Nobel Interpon and IGP Powder Coatings. Aspire Technology Solutions is an award-winning managed services company specialising in hosted services, data centre solutions, communications and IT support. Established in 2006, the company now has sites across the North East and London. Established over thirty eight years ago, Automotive Group specialises in the design and adaptation of wheelchair-accessible vehicles. A family business, the company provides a range of new and used vehicles as well as wheelchair-accessible taxis. This is the holding company for Springvale EPS, which designs and manufactures expanded polystyrene (EPS) to the construction and original equipment manufacturer markets. Based in Blaydon and with operations in Newcastle, Sunderland and Stockton, CF Motoring Services is a familiar sight on the North East’s roads with its fleet of breakdown rescue vehicles. The company, which appeared in the 2015 Fastest 50, also provides accident repair services as well as salvage and spares and commercial vehicle sales. Chainbridge Steel Group is an independent steel stockholder whose products are supplied to a diverse range of sectors including architectural, automotive, construction, general engineering and tank manufacturers. This company, which also featured in the 2015 Fastest 50, is an air conditioning specialist offering support at all stages of a project from conception through to design, product selection and after-sales support. As well as its Sunderland HQ, it also has operations in Warrington and Glasgow. Started by entrepreneur Sara Davies whilst she was still a student at university, Crafters Companion has grown to become a major supplier of crafting materials and products in the UK and abroad. As well as its Co Durham HQ, it also has an office in California from where the US side of the business is conducted. Crosbys Kitchen Equipment, established in 1990, is a supplier to the restaurant, bar and catering industry. The company, which was also listed in the 2015 Fastest 50, specialises in supplying food preparation and food presentation equipment and also stocks a range of glassware, barware and chefs clothing. Started in 1997 after founder and MD Dave Collins spotted the demand for wrought iron components when fitting plastic handrails, this company has grown to become a leading UK supplier of wrought iron and handrail components. It also appeared in the 2015 Fastest 50. Established in 1994, Deepdale Solutions is a sub-contractor specialising in property facades for the construction industry. The company has either preferred or approved status for leading contractors in the UK including Laing O’Rourke, Bovis, Skanska, AMEC and Carillion. This precision engineering company specialises in advanced sub-contract machining and fabrication for customers in sectors including the marine, mining, oil and gas, petrochemical and steel foundry industries. This designer menswear retailer was founded in 2005 and last year launched its flagship store on Grainger Street in Newcastle. It is also a major online seller of high-end men’s fashion brands, sourced from across the world. This multi-faceted construction group, which appeared in the 2013 Fastest 50 directly employs over 1200 people with extensive operations throughout the north of England and southern Scotland. Its services include civil engineering, commercial/public build, house building, facilities management, fencing & landscaping, plumbing, plant hire, specialist brownfield remediation and training. Combining experience of 50 years in the exterior lighting business, this company specialises in the design and supply of street lighting systems. Exterior Lighting Solutions’ projects have included lighting on the Wynyard Estate on Teesside and the A182 Washington Highway. With offices in Peterlee and Newton Aycliffe as well as Newcastle, GEM Partnership specialises in permanent, temporary and search project recruitment for industry sectors including industrial, engineering & technology, office and commercial, IT, sales and marketing, hospitality and catering and contact centres. This company supplies the construction sector with a range of services including tipper grab vehicle hire, top soil delivery and collection, aggregates supplies and commercial vehicle repairs. Making it a hat-trick of consecutive appearances after listings in the 2014 and 2015 Fastest 50s, Greencroft Bottling is part of the Lanchester Group and has grown since its foundation in 2003 to become one of the largest wine bottlers in Europe, operating five lines at its factory in Consett, capable of filling over 50,000 bottles an hour. A familiar name in the North East, Hays Travel is now the largest independent travel agent in the UK. The company was set up by MD John Hays in a single shop in 1980 and now operates more than 100 branches across the UK, employing over 1,000 people. It appeared in the 2015 and 2013 Fastest 50 lists. Part of the Heerema Fabrication Group, Heerema Hartlepool specialises in the engineering and fabrication of large and complex structures for the offshore oil & gas and energy-related industries. It has worked on a range of projects including many North Sea oil and gas platforms. Celebrating its 100th anniversary this year, Hodgson Fish supplies fresh-caught fish to top hotels and restaurants across the North East as well as catching a lot of its own fish. The company is also celebrating its fourth appearance in the Fastest 50 after appearing in 2010, 2011 and 2015. Established in 1972, JBT Waste Services has expanded to incorporate multiple licensed waste sites. Each year the company collects and processes more than 300,000 tonnes of waste. It was listed in the 2013 Fastest 50. LJJ Ltd specialises in the design, installation and commissioning of mechanical and electrical services in all types of commercial, retail, industrial, public sector and communal housing projects in the public and private sectors. The company has appeared in the Fastest 50 in 2009, 2012 and 2015. Appearing in the Fastest 50 for the third year in a row, Motherdale is based in Castle Eden near Hartlepool and provides a range of care home services. Established in 2006, this recruitment company works in the manufacturing, engineering and warehouse distribution sectors. It operates three main divisions – technical, manufacturing & engineering and industrial – providing temporary and permanent staff. This electrical contracting business specialises in retail, commercial and industrial electrical installations. It has carried out work for a range of companies including Caterpillar, Entek, Matalan and Cumbrian Seafoods. Making a fourth appearance in a row in the Fastest 50, Nifco designs, manufactures and supplies precision injection moulded functional plastics parts, mainly for the automotive industry. The company supplies parts to Honda, Nissan and Toyota in the UK and exports to Ford in the United States and other markets in East Asia. Founded in 1967, Nixon Hire provides plant and site equipment to the construction and civil engineering sectors and related industries. The company employs over 400 people across an expanding depot network throughout the UK and the Middle East and has previously appeared in the Fastest 50 in 2008, 2009 and 2014. This company specialises in providing replacement vehicles and repair management solutions to victims of road traffic accidents across the country. The business was founded in 2006. Print services provider Paragon supplies a range of products and services including business print; operational print; pressure seal machinery, documents and servicing; warehousing and logistics; pick and pack; personalisation and e-commerce based ordering platforms and catalogues. Based in County Durham, Partner Group UK specialises in the development of residential property schemes. This family-run business specialises in supplying shredding and blending cheese used primarily in pizza toppings. Prima Cheese supplies clients in the foodservice and food manufacturing sectors in the UK, Europe and worldwide from its operation in Seaham. The company appeared in the Fastest 50 in 2012 and 2015. Prince Bishops Homes provides a wide range of properties to rent across County Durham and is a subsidiary of Derwentside Homes. The group, which was listed in the 2015 Fastest 50 owns around 7,000 properties for rent and employs around 200 people, including its own tradesmen who provide a 24/7 repair service and specialists in all aspects of housing. QA Weld Tech Ltd is an integrated welding and engineering company based in Middlesbrough in the UK and with a base in Pindamonhangaba in the Sao Paulo State of Brazil. It works on a range of projects in the marine and offshore sectors for major companies including Total and BP. Established in 2000, this recruitment and HR managed services company provides temporary and permanent staff to clients across the UK in a wide range of industry sectors and divisions. Roundel was formed in 1981 and now operates from six sites with a workforce of around 160 people manufacturing kitchens for trade customers and, under the Nixons Kitchens banner, for retail customers. Ryder works across the UK from offices in Newcastle, Glasgow, Liverpool and London. The architectural practice, which appeared in last year’s Fastest 50, is commissioned on projects ranging in value from £50,000 to £300m in the office, education, industrial, healthcare, leisure, residential and infrastructure sectors. Scott Bros is a haulage and plant hire business established in 1971, originally to supply tipper lorries to local authorities and the building and construction industries. It is now offers a wide range of excavation, haulage and tipping services to customers across the North East. Silverlink Software is one of the most widely-used patient administration systems (PAS) providers in the NHS. Its systems are currently installed at 13 Acute Trusts covering 45 hospitals in the UK, with its specialist mental health solution deployed in a further 7 Trusts and social enterprises. Started up in 2007, this is an online travel agent selling holidays to destinations worldwide as well as associated services such as airport parking and transfers and car hire. Construction specialist Surgo carries out work for clients in a variety of sectors including education, housing, commercial, industrial, leisure, retail and energy and on projects ranging in value from £1m to £25m. The company also operates a small works division. Surgo last appeared in the Fastest 50 in 2009. Winner of the fastest growing large business and overall fastest growing business in 2015, Techflow Marine provides a range of specialist products to the global offshore oil & gas and marine industries. Operating from the company’s Cramlington head office, manufacturing activities are coordinated and scheduled to its principle manufacturing locations in the UK and Singapore as well as sub-contractors in China, Korea and the USA. Based in Gateshead, Templeman Trading is engaged in the wholesaling, vending and property rental sector. Established in 1994, The Protector Group began by supplying security to clients across the North East. It now provides a wide range of services to customers across the country including electronic security, manned guarding and mobile services. This company specialises in flexible commercial vehicle hire from single vans to multi-site national operators. The company’s management team has a combined experience of over 130 years in the sector. Also featured in last year’s Fastest 50, Tyne Insulation Supplies Ltd is a leading independent stockist of insulation materials and associated products. The company’s clients include major national and regional contractors, specialist subcontractors, builders and roofing merchants to local builders and self-builders. This Teesside-based business is a specialist building contractor involved in the construction of commercial developments. Beginning life in 1990 with founder Andrew Ward selling work clothing from the back of a van, Workwear Express has grown to become a major supplier of more than 6,000 workwear and related products to over 100,000 customers across the country. The company makes a hat-trick of consecutive Fastest 50 appearances having also in 2014 and 2015. Information has been compiled by researchers at St. Chad’s College/Durham Business School using data which is publicly available at Companies House of UK-listed companies. To qualify, companies must be trading entities and have turnover in excess of £1,000,000 in the last three years of filed accounts, which are up to date as at 31 July 2016. Companies must also have made profits in each of the past three years’ accounts and must have filed new accounts since last year’s Fastest 50. Ward Hadaway and The Journal do not accept any responsibility for any errors or omissions. * Find out more about the Fastest 50 Awards.